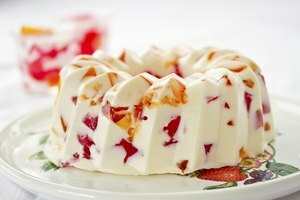 While Jell-O may seem to be a product of recent times, gelatin dessert is actually quite an old-fashioned treat. 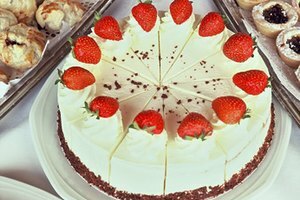 Inventor Peter Cooper received the first patent for a gelatin dessert in 1845. It wasn't until 1897, however, that Pearle B. 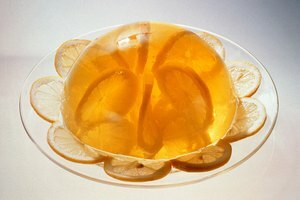 Wait created a fruit-flavored version of the gelatinous dessert and gave it the name "Jell-O." Still commonly consumed, Jell-O is cold, sweet and refreshing and produces a constant, distinctive wiggle or shiver. It can be prepared in a variety of molds, giving you the freedom to create shapes and sculptures. 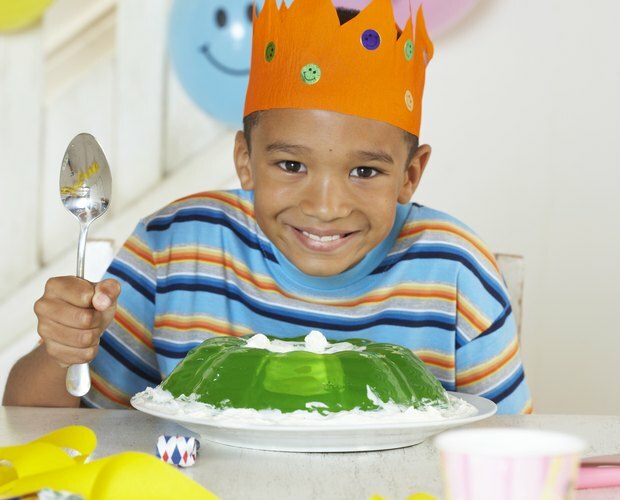 The tricky part can be preventing the Jell-O from sticking to a mold. Touch the top of the Jell-O with one finger after it has set up for a while. If it feels sticky, it needs at least one more hour to set. Tilt the mold pan toward you and away from you. The Jell-O should not sag in any one direction. If it sags, set it for at least one to two more hours. Wet your fingertips under cold water. 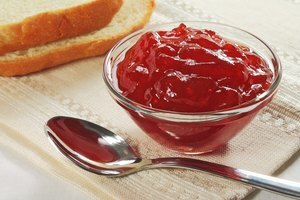 Ensure that your fingernails are trimmed properly so that they won't stab the Jell-O. Work your fingers under and around the edges of the mold, coaxing the Jell-O away from the sides of the pan. Proceed slowly, and be gentle. Fill a large basin with warm water. Dip the pan encasing your Jell-O in the warm water. Your goal is to immerse the pan but not the top of the Jell-O, which should remain dry. Lift the pan out of the water, and shake it to loosen the Jell-O. 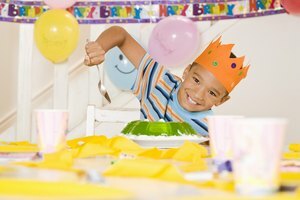 Place a cold, damp plate face down on top of the surface of the Jell-O. Put one hand on top of the plate, and flip over the plate and the mold so that the pan is on top and the plate is on the bottom. Lift the mold off the Jell-O very slowly. If you feel resistance, flip the pan over and immerse it back in the basin of water. The water in the basin should be warm but not hot. Hot water would melt the Jell-O.